For more than twenty years, Patrician Marble Company has provided cultured marble products to customers in the greater Phoenix metropolitan area. By specializing in the production of cultured marble, we take great pride in being the best in the industry in the art of replicating the world's most beautiful natural marble, granite and stone. In recent years, we have added Granatex® and Spray Granite Advantage® "granite effect" fillers to our Patrician Marble Signature Collection of cultured marble products. In addition, we offer our newest Porcelain line of products (for Bath only), as well as Formica® and Wilsonart® laminates.
. . . how can we expect them to meet yours." This commitment obligates us to using only premium materials, engaging conscientious manufacturing methods that create a safe environment for our employees both during the manufacturing process, and on your jobsite; as well as delivering and installing our products in a timely manner, while maintaining the highest standards of quality control. We pledge to provide unmatched quality, while meeting or exceeding your expectations. 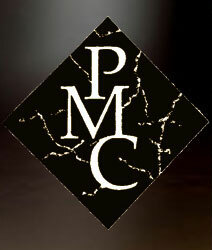 Patrician Marble Company proudly supports and maintains a Drug-Free workplace. The safety of our employees and your job-site is our #1 concern. Our team of professionals is what makes us different... Your job is in great hands! We take great pride in our employees and their extensive expertise, knowledge and skills in the construction industry. From our sales team to our installation team, our employees come from a long heritage of expert craftsmen. We have two father and son installation teams that have been with us since the beginning, and all of our sales associates have more than 25 years experience in the cultured marble manufacturing/installation industry.